Minty, 1957 vintage Cosmopolitan Ginger two-piece outfit #222, consisting of a tagged, crisp red and green Scotch plaid skirt with attached taffeta slip and perfect tag. Green jersey top with colored snap at neckline in back. 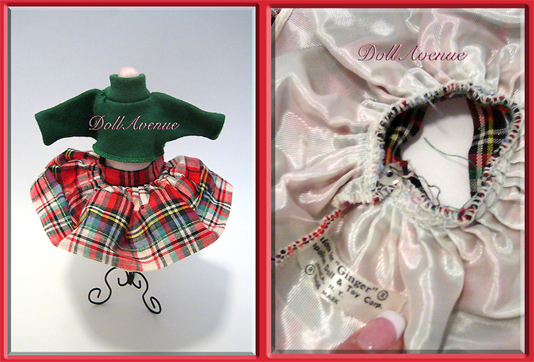 Wonderful vintage set for Ginger, Ginny, or other 8" dolls.